The Morellino di Scansano by Terenzi stands out for harmony, freshness and fragrance. 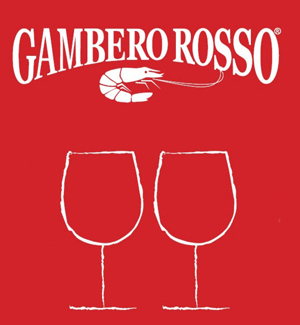 It is a great red maremmano product based on only Sangiovese grapes, whose vinification and subsequent maturation take place in large stainless steel tanks, to preserve its natural fragrance. 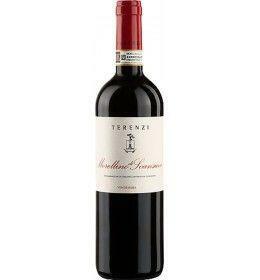 Floral, fruity, dynamic, it is ideal in combination with the typical dishes of the Tuscan hinterland. 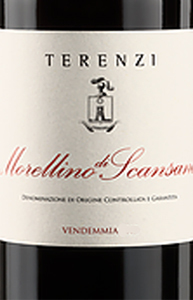 THE WINE The Morellino di Scansano by Terenzi stands out for harmony, freshness and fragrance. It is a great red maremmano product based on only Sangiovese grapes, whose vinification and subsequent maturation take place in large stainless steel tanks, to preserve its natural fragrance. Floral, fruity, dynamic, it is ideal in combination with the typical dishes of the Tuscan hinterland. 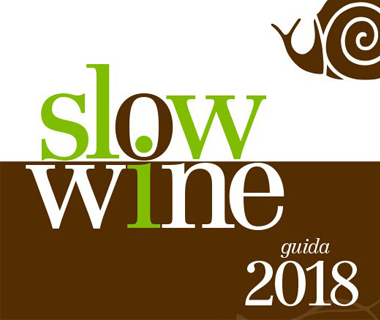 THE COMPANY It is in the sign of total respect for the territory, looking at what is its potential, which in 2001 was born Terenzi, a farm that in a few years managed to redesign the perception of the Maremma and its best wines. A reality of particular charm, which today can boast 150 hectares of properties including 60 vineyards and 14 of beautiful olive trees that lead to extra virgin olive oil of great thickness. The modern winery, the heart of the company, has been built in harmony with the landscape without renouncing the most modern technologies, all aimed at absolute quality and respect for the surrounding environment. It is in this context that the typical varieties of the denomination are found, from vermentino to viognier, from syrah to merlot. It is however the sangiovese, planted in two different clones, to be the absolute protagonist in a range of Morellino di Scansano particularly significant: from the simplest, vintage, to the "Madrechiesa", deep and long-lived red wine, elegant as perhaps nobody in the area. Before 15,01 € tax incl. Tasting Color: Intense ruby red. 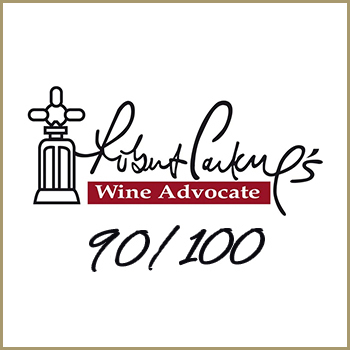 Bouquet: beautiful aromas of red and purple fruits embellished with spicy notes. 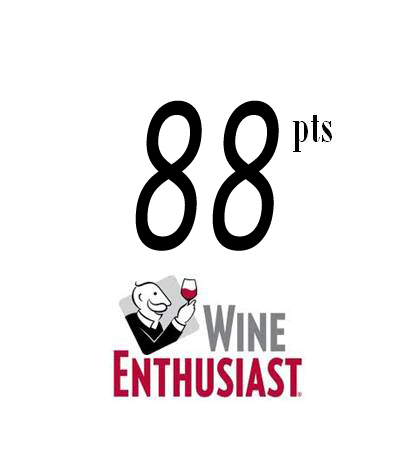 Taste: fresh, well balanced tannins, soft and persistent, and great overall harmony. It is in the sign of total respect for the territory, looking at what is its potential, which in 2001 was born Terenzi, a farm that in a few years managed to redesign the perception of the Maremma and its best wines. A reality of particular charm, which today can boast 150 hectares of properties including 60 vineyards and 14 of beautiful olive trees that lead to extra virgin olive oil of great thickness. The modern winery, the heart of the company, has been built in harmony with the landscape without renouncing the most modern technologies, all aimed at absolute quality and respect for the surrounding environment. It is in this context that the typical varieties of the denomination are found, from vermentino to viognier, from syrah to merlot. It is however the sangiovese, planted in two different clones, to be the absolute protagonist in a range of Morellino di Scansano particularly significant: from the simplest, vintage, to the "Madrechiesa", deep and long-lived red wine, elegant as perhaps nobody in the area.